In the late 1980s Ben and Mehmet Aydin started out their long and much loved careers in the textiles industry as apprentices in Istanbul. It was here that they received their formal training in textiles manufacturing clothing for both men and women for High Street Retailers. When they moved to the UK they established themselves as London tailors before moving to Bath in 2010 and creating their very own successful company. Now they are the tailors of choice to many across Bristol and Bath. It wasn’t hard to build a successful company for this talented and driven pair. With their reputation for impeccable craftsmanship, their meticulous attention to detail and their absolute passion for their craft Ben and Mehmet proved that they truly have what it takes to run a company that is head and shoulders above the rest when it comes to quality and style. Their clientele now includes many celebrities and their work is the envy of many. Shopping in Bath leads one to expect a certain quality and exclusivity that you won’t find in many cities. There is an expectation that the experience one gets when shopping in this beautiful city is far and above what you would get elsewhere. At City Tailors, Bath we work hard to deliver beyond expectations and offer only the highest quality garments for both men and women. We only use the finest materials and nothing leaves us that isn’t finished to the highest standard. Such is our reputation amongst the retail community that when you buy something from one of Bath’s many boutiques or high end retailers that might need tailoring they will contact us to assist. If you have a particular design in mind we will work with you to bring that design to life even down to the smallest detail. As well as being the perfect fit we want you to feel like a million dollars when you leave us with your finished garment/s. As well as choosing a particular style such as contemporary or traditional at City Tailors of Bath you can also specify the details. If you want a specific fabric in a specific colour with carefully planned details we will be only too happy to assist. 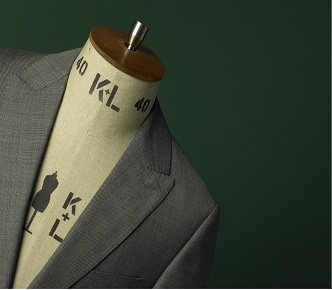 We can assure you that even down to the last button City Tailors of Bath will provide you with the complete service.